Laois Hire is your nationwide Plant and Tool Hire specialists. Laois Hire has a plant hire branch in Oranmore, Galway. Contact our Galway branch for all your plant hire needs on 091 39 4706. Laois Hire has an extensive range of plant hire for Hire in the Galway area. We hire mini diggers in Galway (mini excavators), including 1.5 tonne excavators and 3 tonne excavators. We hire micro diggers in Galway (micro excavators). We hire standard 8-tonne diggers in Galway (8-tonne excavators). Our fleet of excavators include new JCB diggers, Caterpillar diggers, and Kubota diggers. Laois Hire also has a huge range of rollers and dumpers for hire in Galway. 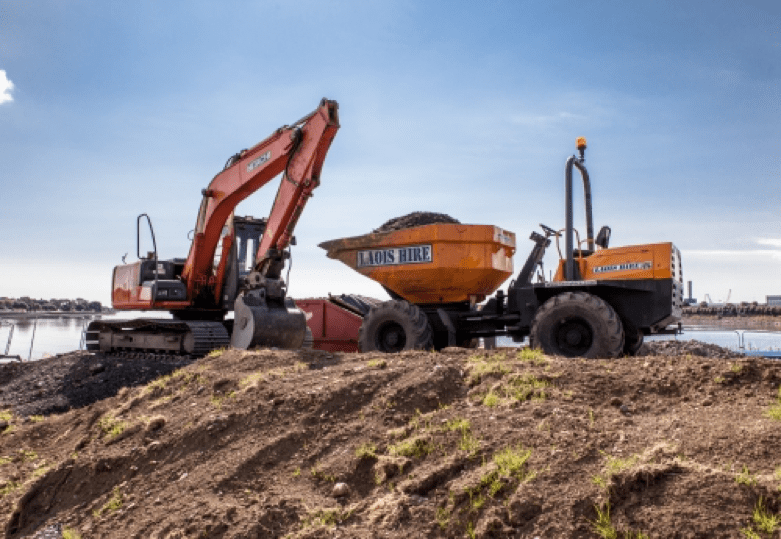 Our range of dumpers available for hire in Galway include – 3 tonne dumpers for hire in Galway, 6 tonne dumpers for hire in Galway, 9 tonne dumpers in for hire in Galway, and 10 tonne dumpers for hire in Galway. Laois Hire offers a large range of rollers for hire in the Galway area. Our roller fleet is new with a recent purchase of HAMM rollers. The range of rollers available for hire in Galway includes Tandem Rollers, Heavy compaction rollers, and single drum rollers. Laois Hire also supply plant and tool hire as well as plant for sale to Galway, and to other parts of Ireland, including Laois, Offaly, Dublin, Kildare, Wexford, Limerick, and Kilkenny.